They marched in unity despite the cold weather, scandals, concerns, and divisions leading up to the day. Full of energy they danced to drum beats and Spice Girls songs even though they’re legislated by a governing body that does not understand their bodies. Waving signs and banners that showcased their creativity and wit in spite of the fact their work is only worth 81-67% of what a man’s is worth. Emboldened looks and strong steady chants throughout a crowd where at least one out of every three will face sexual violence in their lifetime, and one out of four will face severe physical violence by a partner. 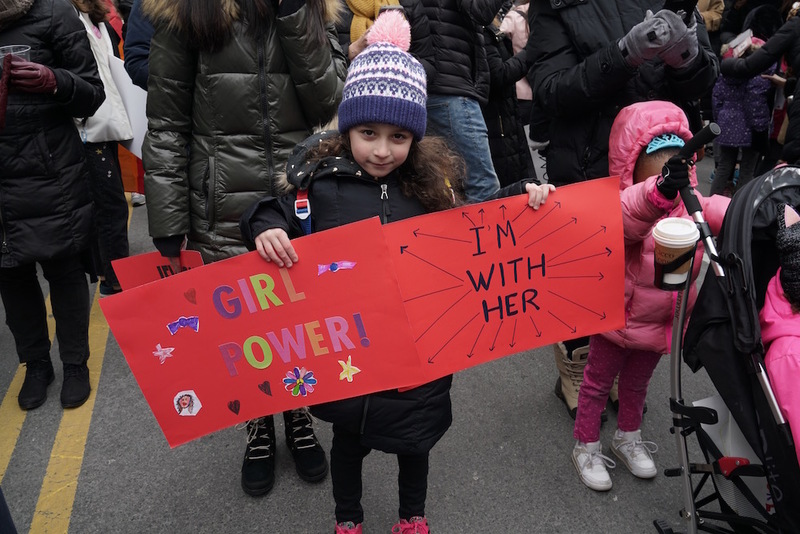 With the full weight of what it really means to be female, the girls and young women of New York City owned the Women’s March. Their joy and self assurance encouraged those of us more weathered from the fight that it will- one day- all be worth it. 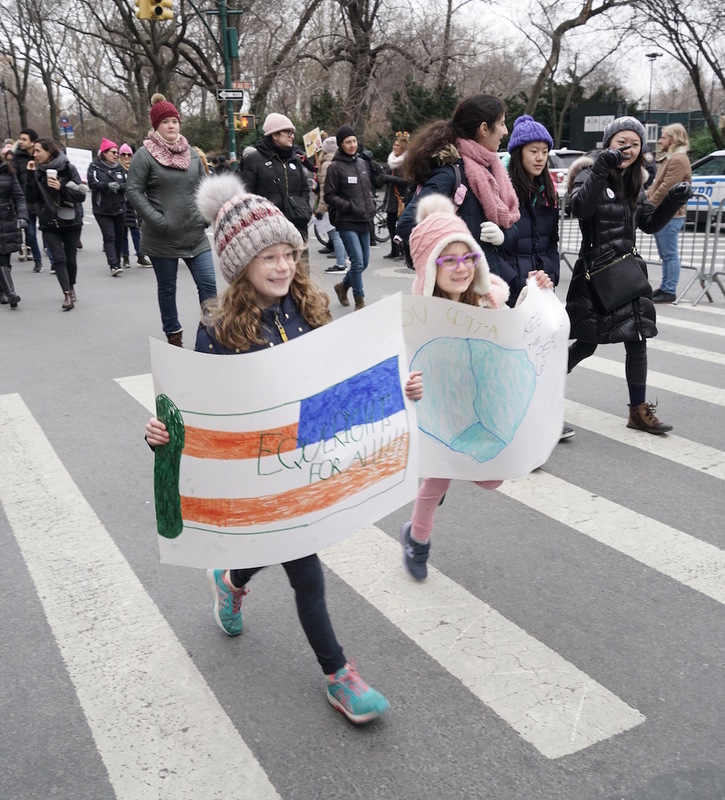 Walking hand in hand with their “Girl Gangs” and holding signs proclaiming their value, one couldn’t help but realize even if the world hasn’t caught on, the girls have.